The AMSP provides a wide range of professional development for teachers of AS/A level Mathematics, offered in flexible formats to suit your needs and availability. Many of these opportunities are free and, in some cases, additional subsidies are available to enable more teachers to participate. Our Teacher Events Calendar, below, provides details of all of our professional development events, including a range of opportunities designed and delivered according to local need by our local Area Coordinators. It is followed by details of the standard courses we offer. 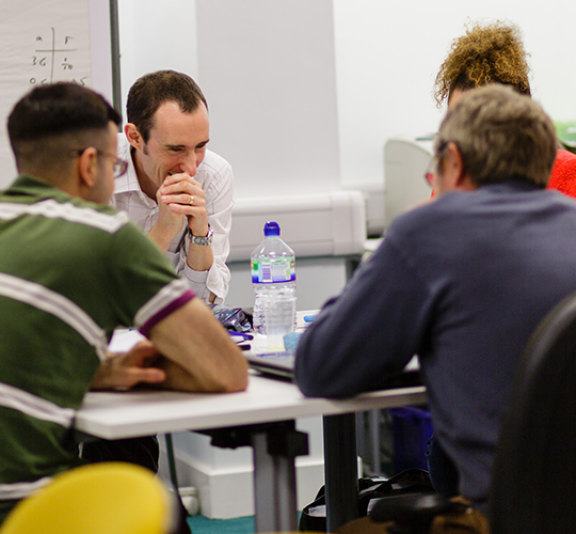 Developing A level Pedagogy Work Groups aim to develop knowledge of content and requirements of the new maths A levels and understand the purpose of the overarching themes. Participants will gain confidence in teaching new aspects of content (particularly mechanics and statistics), and explore the benefits of teaching statistics through the use of large data sets. If your school/college is involved in Initial Teacher Training, you might be interested to know that the AMSP is running day-long courses in twenty universities on aspects of teaching A level Mathematics for groups of trainee teachers. Contact us for details.